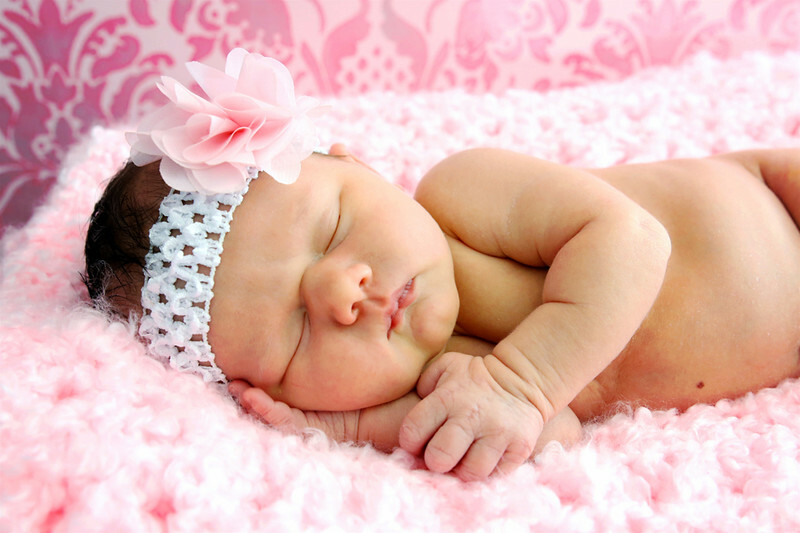 Sydney’s Birth Story: To VBAC or Not to VBAC? Mama Say What?! | Mama Say What?! 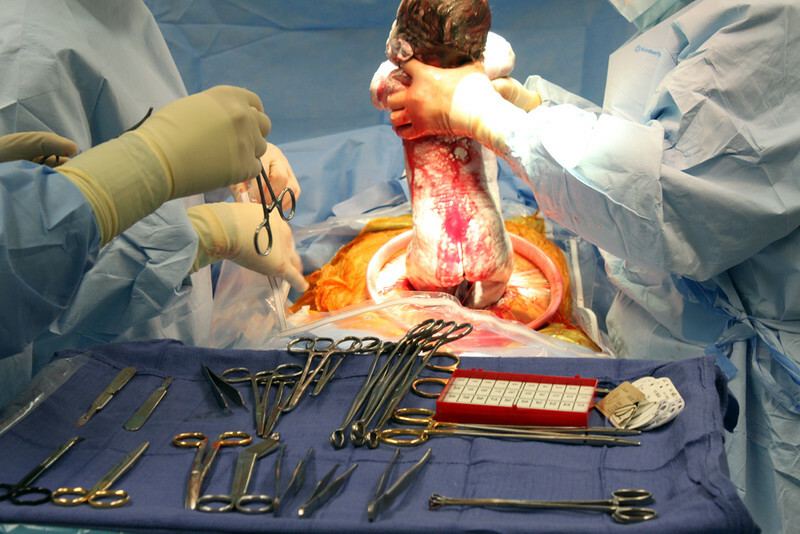 Ever since my first child was ALMOST delivered vaginally, I was so sad and upset about having a C-section that I vowed I would not be having another. I would definitely try for a vaginal birth with my second child. My doctor even told me I was a perfect candidate since the only reason for my C-section was due to breech presentation. So, when I found out we were pregnant a second time, reading VBAC stories online became my second job. I was obsessed with reading the positive stories and was so determined to turn my story into one of them. It was a great pregnancy with no problems. As we neared 34 weeks, I was so happy to find out baby was head-down. But as we all know, I was told the same thing with the first so I was adamant about having an ultrasound to be 100% sure this time. My doctor agreed. She was onboard with my VBAC, but by law, she had to give me the VBAC facts information and associated risks. That’s when I started to get nervous. I made the mistake of reading about a few not so happy VBAC attempts and started to get a little scared of my decision. My husband didn’t really understand why I would want to go through the whole labor process again when I could just schedule a C-section and be prepared. Yeah, that sounded great in theory, but then I thought about the recovery time and wanting to play with my son and having to explain to him why he can’t sit on Mommy’s lap… and his whole birth experience kept playing in my head. I know I could have pushed him out had he been the right way. That’s what made me so angry! I was not going to let that happen again this time. 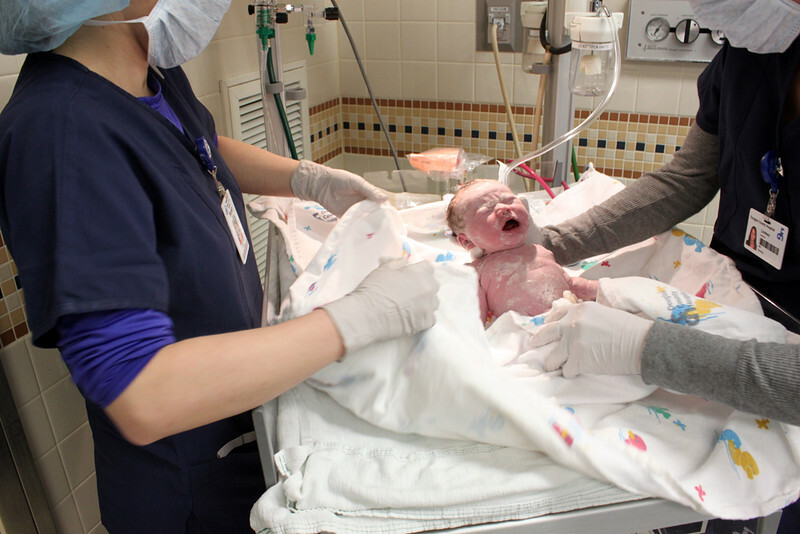 I wanted that amazing birth experience people talk about and I didn’t get it last time. Then I hit 36 weeks and everything started to go downhill. I was standing all night at a benefit we attended when I started to get contractions. I knew the drill. Sit down and drink some water. But there really wasn’t anywhere to sit so I continued mingling with people and occasionally would pause as a contraction took my breath away. I started thinking to myself, “Oh no —these are getting worse. This is labor. We better go home.” My husband could tell I was uncomfortable and we got out of there as fast as possible. I got home and started counting the minutes in between contractions — 6. Everything started running through my head. Was 36 weeks too early to deliver? Would they stop my labor? 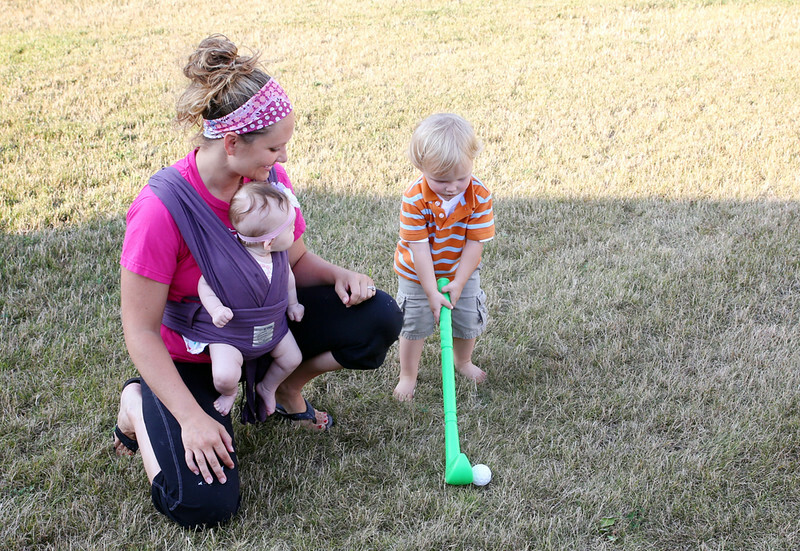 Maybe it’s a good thing… then the baby would be a little smaller and allow for an easier VBAC experience? But my first was so small already — what if she was still too small!? Would she have to stay in the NICU!? Geez — I didn’t even know what to think. I told my husband to get some sleep as it could be a long night. I stayed on the couch watching TV and dealt with my contractions all night. I’m not sure what time it was, but I must have eventually dozed off in between contractions. When I woke up, it was like nothing had ever happened. WHAT!? Come on now!! I was so ready for this! I called my doctor to let her know what had happened and I came in to be checked. I don’t remember the exact numbers of effacement or dilation but my baby’s head was definitely down as low as it could go pushing just in front of my cervix. The doctor said it could be tonight or it could still be weeks as my baby’s head seemed to be really low. She ordered another ultrasound to check her positioning. The ultrasound revealed her head was tilted to one side… not perfect positioning for a vaginal birth. But I didn’t let it get me down. I still had a few more weeks to hopefully get her to move her head a bit. My chiropractor gave me some exercises to encourage a rotation, too. About 7 p.m. that following day, I started getting contractions again. Nothing horrible. We ate dinner and hung out with our son, but I could feel them getting stronger and closer together. I tried not to think about them. I took a nice relaxing bath and they seemed to fade, but started increasing again as soon as I got out. I watched TV in bed, dealing with slight contractions every 6 or 7 minutes for a couple hours until I finally fell asleep from exhaustion. The next morning… nothing. WTH!? This pattern continued on for the next two weeks. I was MISERABLE! I had gotten almost no sleep for the past 14 days. Contractions would come on EVERY evening around 5 or 6 p.m. and would last pretty much all night. I was not sure how much longer I could take. When 38 weeks hit and I was considered full-term, I started doing anything I could to keep the contractions coming. I bounced on a birth ball all day. I did squats like it was my job. I bounced up and down the stairs. I made my husband get a treadmill so I could walk and walk and walk until she fell out. I was desperate. Nothing happened except stronger contractions at night that grew to be about 4 minutes apart. There were a few nights where I thought, “This is definitely it! I’m just going to wait until they get a little closer and a little stronger and we will go to the hospital.” My bags were packed and a sitter was ready and on-call for our son. But they never got closer. They just stayed at a measly 4 minutes apart for a good 3 days straight. I was frustrated. My doctor didn’t have answers. I was not dilated at all. Her head seemed to be too far forward so it wasn’t putting the right pressure on my cervix to dilate and it was just causing lots of contractions and uncomfortableness. At 38.5 weeks, my doctor could tell I was frustrated and asked the question I wish she hadn’t have asked. “Do you want to talk about scheduling a C-section?” It was all I could do to keep from tearing up. I had hoped it wouldn’t come to this, but I could not take anymore. I was physically and emotionally drained. YES! We scheduled the C-section for 4 days later. It seemed so far away, yet also gave me 4 more days to make my body go into labor on it’s own. Nothing but painful contractions happened those 4 days! I went back and forth at whether or not I should cancel the surgery and just keep dealing with it. In the end, though, I couldn’t handle anymore. I felt like I was giving up, but I was just so over this. I felt like a failure. I felt like I was letting down all the people who were rooting for me and my VBAC. One last ditch effort the night before my surgery led me to my treadmill downstairs. I was literally running on it. My girl parts felt like they were going to explode. It felt like a bowling ball was being pushed out of my you-know-what. I didn’t care. I was going to walk on this treadmill until my water broke! I couldn’t sleep, so what else did I have to do!? But alas, nothing happened. Contractions got worse but that’s about it. We arrived at the hospital to prep for my C-section at 5 a.m. The nurses could see I was contracting a lot. One nurse asked if I wanted to be checked, just in case. I think she was hoping (and so was I) that she would check me and I would have been 9 cm dilated or something crazy. That’s certainly what I felt like and apparently looked like to others! The monitor showed extremely large and LONG contractions every 2 minutes (which should insinuate labor) but my exam showed I was only 1 cm dilated. The nurse asked if I would like to wait and see, if I would like to labor there for a little while and see if anything happens. More confusion for me. “This is it Heidi. Make a decision,” I told myself. “Maybe this is really it? Or maybe you will sit in the hospital bed for the next 3 days in misery HOPING this was it!” I was done. I was so close and I just wanted to meet my baby girl. I didn’t think I would even have any thing left in me to physically go through labor and actually be able to push her out after all I had been through these past few weeks. Today would be the day. Let’s do this. In my gut, I wanted to wait. I wanted to go through labor. I wanted to try. But I already had surgery scheduled with my doctor and everyone was waiting for the news. I just didn’t want this to be another false alarm and then have to wait 2 more days for the next surgery time. 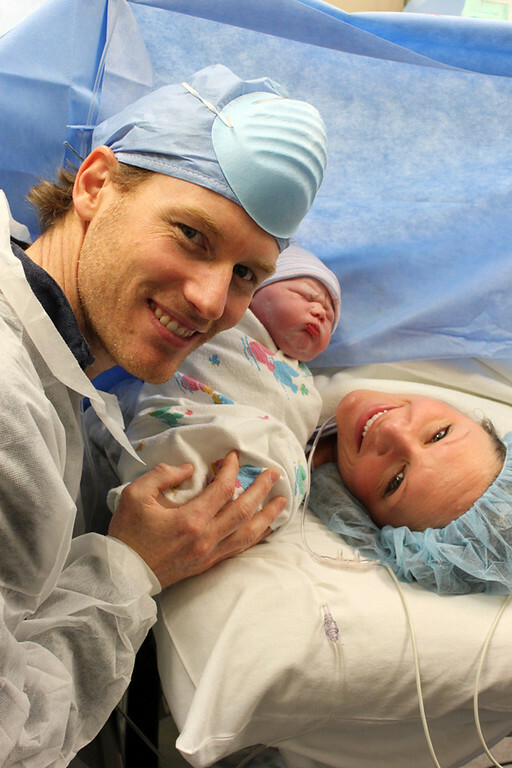 It was very different this time having a scheduled C-section and not an emergency. There was no rush. Everyone was very calm. I kinda wished everyone would hurry up because I was getting so sick of these contractions every 2 minutes. But the nurses were great. I was given IV fluids and some gross anti-nausea medicine because I threw up during my first C-section. I hoped this time would be different. And it was… almost! I made it through the surgery vomit-free. They pulled her out and showed her to me and it was beautiful. She was amazing and perfect and had so much dark hair. 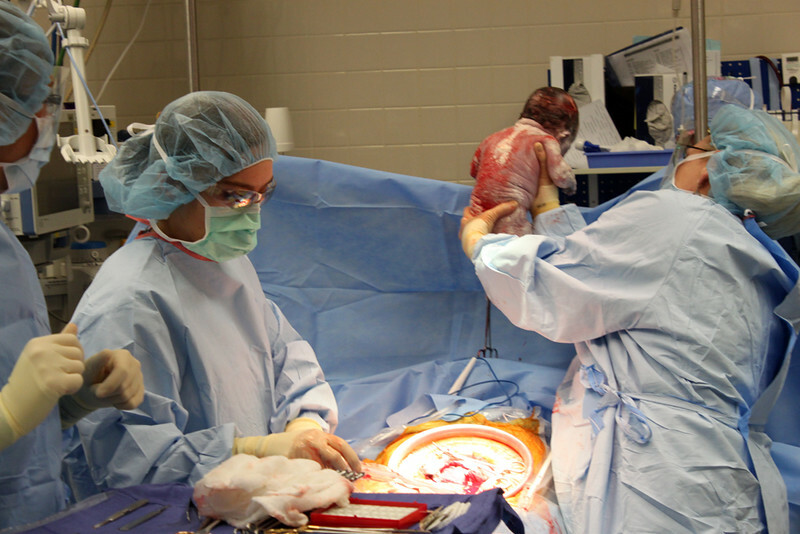 My husband took lots of pictures during my C-section so I could see them later (I like that kind of stuff), but I was just trying to focus on not throwing up. I was starting to get dizzy as the doctor closed me up. She was going to allow baby girl to come into recovery with me, but at the last minutes I decided to just have my husband go upstairs with her to get her cleaned up. I wouldn’t be able to do much in recovery with her anyway. Especially with how I was feeling. It was a good thing, too, because during recovery all heck broke loose. A nurse was getting me situated when I started dry heaving. She knew what was coming and grabbed that little blue bag just in time for me to hurl into it. Who says labor is beautiful!? HA! Not me! I was a mess. I continued to yack every 5 minutes or so. So much for looking pretty after my C-section. They wheeled me back to my room and met me in the hall with my freshly-bathed baby girl. They handed her to me and it was wonderful to get to finally hold her… for 30 seconds! That’s all I got because I started throwing up again. Every time I thought I was fine, they would give her to me to try to nurse her and the puking continued. It was definitely NOT what I was hoping for. I don’t even remember how many hours had passed before I actually did get to nurse her. At least three or four. Poor girl was probably starving! I continued to throw up every now and then for a good seven hours. I thought my incision was going to bust open every time. It was pretty miserable! My husband’s family was texting him, wondering if everything was OK. They wanted to come meet the new addition to the family, but I did NOT want people in the room if I was going to keep puking. After some MORE anti-nausea medicine and some sea bands and who knows what else they gave me, I was finally puke-free. Probably because there was nothing left in my stomach. “Now somebody just please get me some freaking ice cream! !” And boy, did that ice cream taste good when I got it! 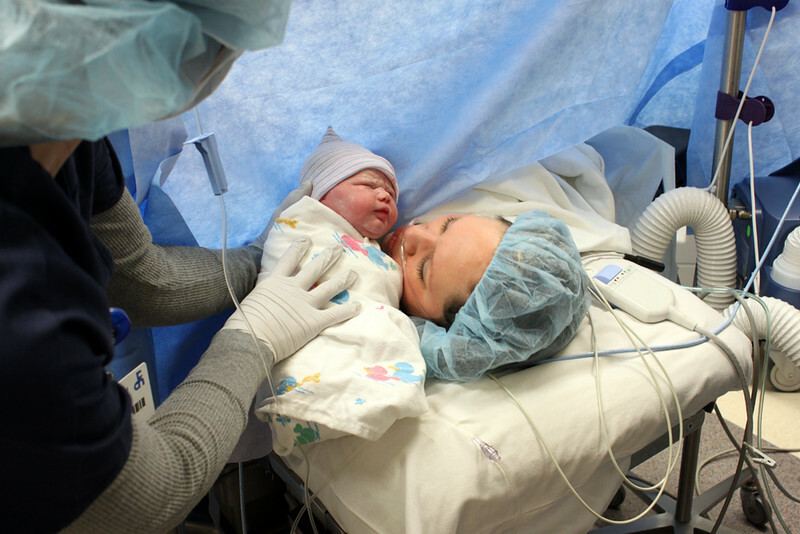 Oh – and my baby girl latched on with no problems and was totally fine with nursing even though so much time had passed. I am finally writing this birth story a year later. Had I written it right away, it would have included much less humor and probably much more anger. I was upset I didn’t get what I was hoping for. I was upset that I didn’t just hang in there a couple more days. I was disappointed in myself for just giving in and doing what everyone around me was telling me to do— schedule the C-section. But like the doctor said, she was stuck in a weird position and it might not have worked. I already had genetics working against me as my mom and sister both needed C-sections. Who’s to say I would have been able to break the curse? I guess we will never know. 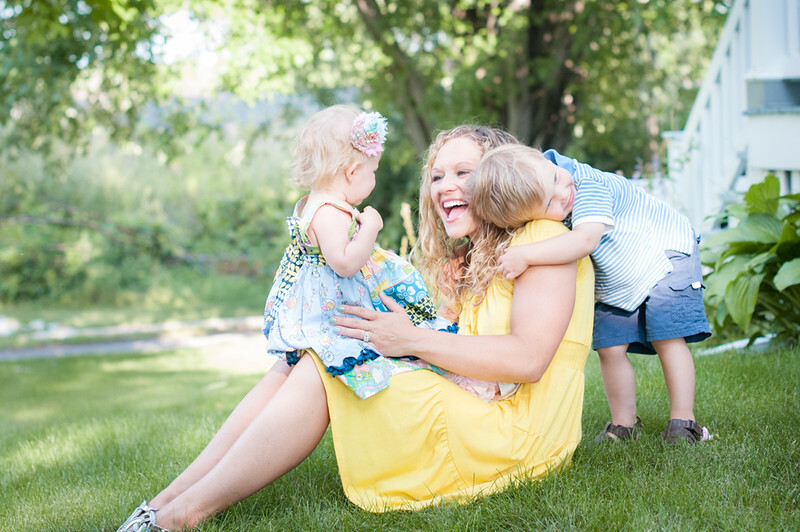 I love my kids more than anything in this world and so what if they were born via C-sections!? I still carried them for 9 months and felt them move inside me and that is the greatest feeling in the world; knowing that I gave them life. I created them. They are a part of me and I never knew my heart could feel so much love. Will I have another? HA! I wish I could say yes! But two major stomach surgeries is enough for me. I am perfectly happy with being a family of four. Added by Heidi C. on September 21, 2014.